When you’re getting into horror, especially as a kid, it’s fun to learn the various weaknesses of the different movie monsters. After all, when you’re a child, all of those things hold an element of reality to them. You know they’re not real, but you also want to be sure you’re prepared to deal with them should you ever have to. We learn the basics very early on. Vampires are afraid of a lot of things, from sunlight to stakes to garlic and religion. Werewolves, on the other hand, generally have one weakness: silver. Frankenstein’s monster is infamously afraid of fire. We all know these weaknesses. Impractical or not, they’re classics. From there, things just kind of got more convoluted, especially for the modern franchise monsters. Many of those movies were made by different people with different takes who wanted to do their own thing with these classic series. This leads to some contradictions, some which go overlooked, and some of which are almost impossible to miss. And sometimes, be it sequel or not, there are killers with weaknesses that don’t make any sense. Rules set for a specific kind of supernatural film that just leave you scratching your head. As a kid, I thought this one was really cool. And it’s still really effective on film. 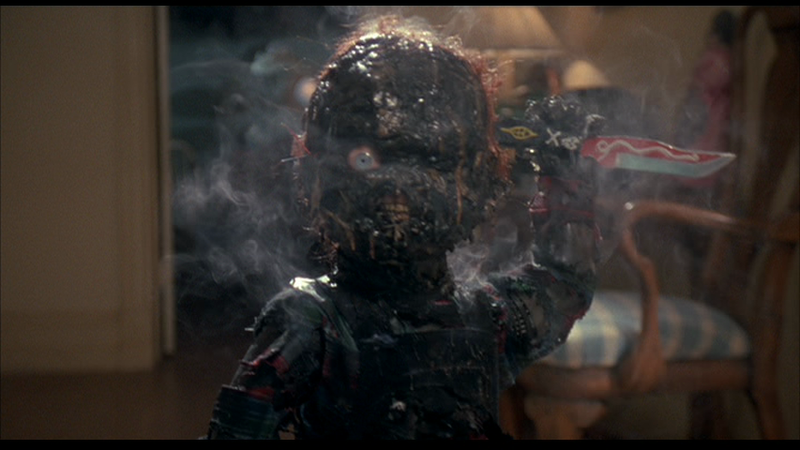 The whole climax of Child’s Play is exciting and I was so scared of Chucky as a child that I thought it was great to have some means of defense in case the doll ever showed up on my doorstep. But when you think about it, it doesn’t make any sense. Chucky’s whole body is turning human, he discovers this when he gets shot in the shoulder and it bleeds. So the “his heart is almost human” line kind of throws you for a loop, because technically shooting him anywhere else should have the same effect as shooting him in the heart. OK, this one is actually a vampire’s lack of weakness that’s pretty stupid. It counts because he’s being subjected to all of the things that normally weaken a vampire, and they don’t work. Max’s explanation is that inviting a vampire into your house “renders you powerless.” It’s a bunch of nonsense designed to hide the identity of the master vampire in plain sight for the bulk of the movie. OK, gold doesn’t weaken the Leprechaun, but it is his major weakness. It’s all he wants in life. And it’s a motivation that’s so easily solved it requires some heavy plot work to get a whole movie out of it. In the first film, one of the main characters accidentally swallows a coin in order to get more mileage out of the concept. The sequels had to come up with special abilities for the gold—like its ability to grant wishes—to give people a reason to want to hold onto it even in the face of certain death. I think Jason Goes to Hell gets a bad rap for being a sequel that wanted to try something new. It’s a very different, overtly supernatural, possession-themed entry and I think for the most part it succeeds at being a gory and entertaining ride. But some of the Voorhees backstory—and the way it ties to the plot—is questionable. Not only do we have the very Myers-esque idea that Jason’s bloodlust is now tied to his own bloodline, but only a direct relative can actually kill him. And the only way a Voorhees can kill him is with a special dagger that definitely appears to be lifted off the set of The Evil Dead. Leprechaun 2 is a fun and often more successfully humorous movie than the first, but the Leprechaun’s one weakness is changed entirely. As absurd as the premise was from the beginning, the Leprechaun’s allergy to four-leaf clovers made sense with what they were trying to do. This is a little more random and basically makes the Leprechaun a hypochondriac who’s very concerned about tetanus. It also makes him a little more easy to defeat, which is the opposite of what a sequel should do. Samara’s greatest strength—the fact that she is a cursed ghost tied to a videotape—is also her greatest weakness. 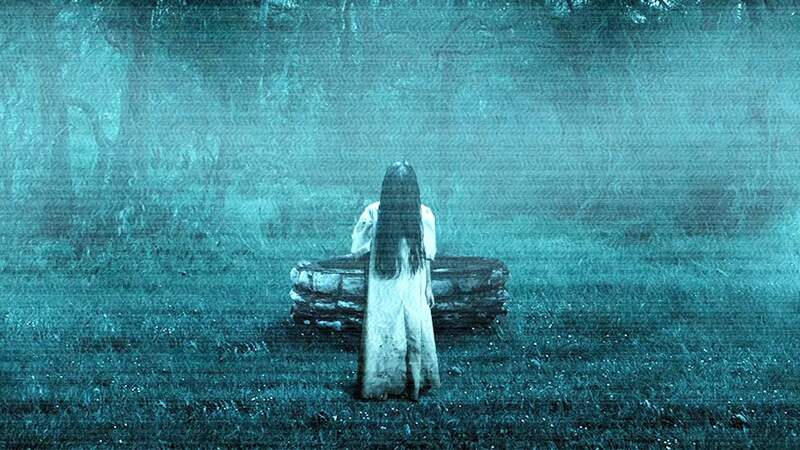 It’s kind of baffling to me, in retrospect, that The Ring was released after the introduction of DVD. The whole premise was already outdated by the time this idea hit the US. First of all, with a bootleg VHS like that, there’s no way it would be shown to that many people without eating itself from the inside out. You’d have to constantly adjust the tracking, or pause it to take out the tape and make sure it was okay. And if you did pause it, why start it again? Why on earth would people watch the whole thing? Friday the 13th, The Final Chapter, Jason Lives, The New Blood, Jason Takes Manhattan. These are all of the preceding movies in which Jason goes in the water of his own free will, presumably without a resulting panic attack. I don’t need to get too far into what a terrible idea this was to begin with, because everyone already knows that. Fans have been complaining about it for a decade now, and with good reason. Anybody who had seen any of the entries before Freddy vs. Jason would know that Jason doesn’t mind going in the water. Even in this one, there are several scenes that show him submerged or wading without a word of complaint.